For the last month, Israel has been engaged in a military campaign in the Gaza strip that has resulted in thousands of deaths. Unfortunately, many of the dead are Palestinian civilians who have been caught in the crossfire between the Israeli military and the Hamas terrorists who embed themselves in Palestinian civilian populations. 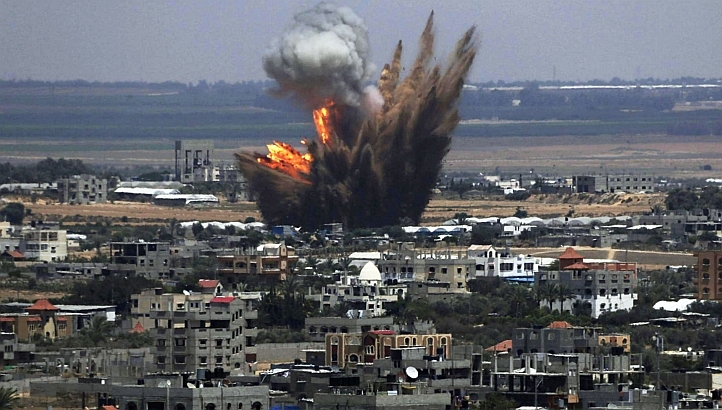 Hamas has long utilized the tactic of hiding its leaders out of the line of fire (ex. 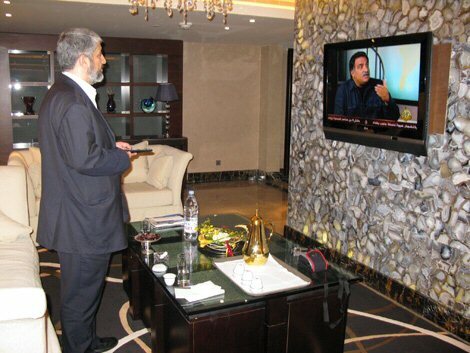 the Hamas leadership currently lives in luxury and safety in Qatar) while sending its lower echelon on suicide missions and firing missiles from behind the protection of human shields. They know that they cannot destroy Israel militarily, so they have decided to turn the entire Palestinian population into unwilling martyrs in a PR war against Israel—by drawing retaliatory fire into Palestinian civilians, Hamas makes Israel look bad and does more damage than any of their missiles can. Israel is controlled by right wing neoconservatives who have no concept of military strategy that doesn’t involve bombing somebody, thus has fallen directly into Hamas’s trap. The IDF is directed to strike back against missile launch and storage sites, regardless of whether that site is a school, refugee area, or populated building. Yes, Israel tries its best to notify civilians of incoming strikes, but this is far from effective in minimizing civilian deaths and completely useless in stopping property damage. 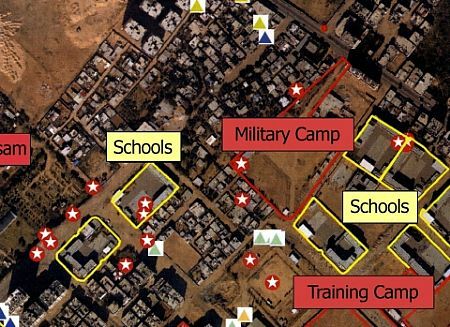 The media often reports on Israel’s targeting of schools, hospitals and mosques with missiles, insinuating (or often just saying) that they are war criminals because of their attacks on these traditionally civilian areas. They show truly horrifying pictures of injured children and women in the front page, decrying Israel for killing them. 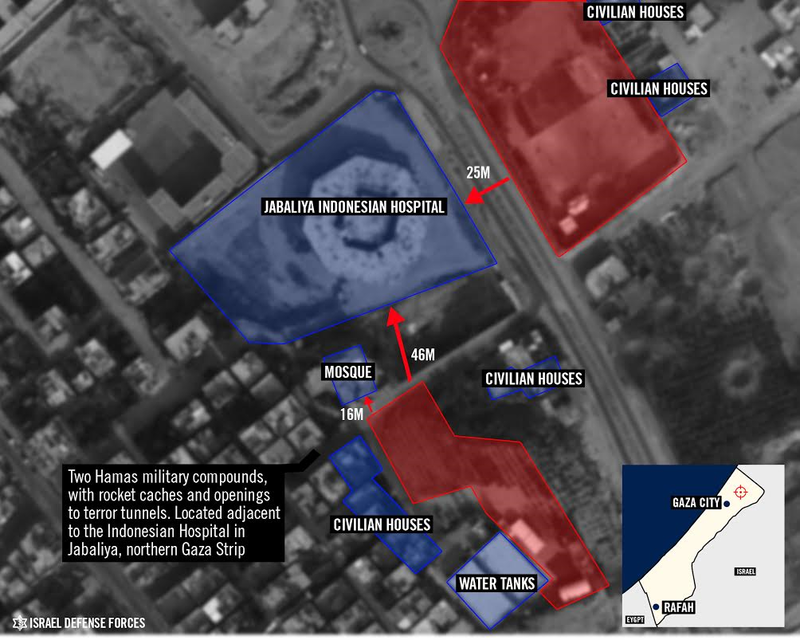 It is true that the civilian deaths in these places are tragic and that children killed in the crossfire are the very definition of innocent victims, but the often-neglected fact in this reporting is that Hamas uses mosques, schools and hospitals as a cover to fire missiles into Israel. Israel is given the impossible choice between firing missiles at schools, or enduring a bombardment that could result in a missile or mortar hitting an Israel school (the Iron Dome is only 90% effective and Hamas has fired thousands of rockets, missiles and mortars into Israel). 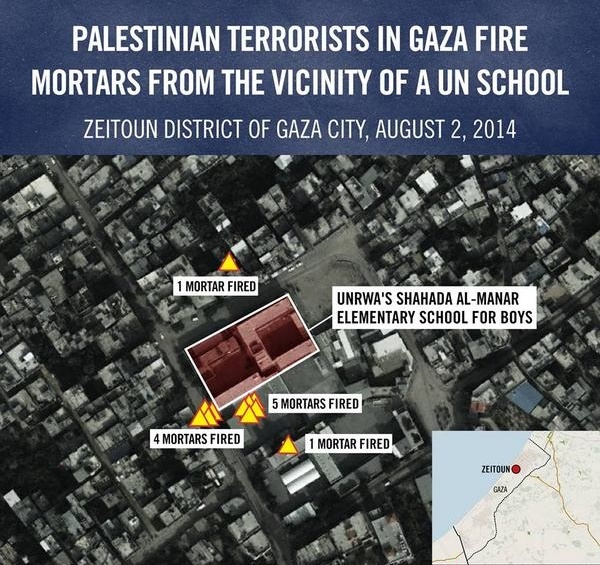 If Hamas is using a UN school to fire missiles, it becomes a completely valid military target for Israeli missiles. Putting you missiles into schools is no more a shield from retaliation than putting day-care centers into military bases—if you are using a building to conduct a war, you cannot argue that your enemy has no right to strike at your location just because there are civilians there. The media has perpetrated a hatchet-job on Israel/Palestine reporting so often that a pattern has emerged. Imagine a situation where Hamas and Israel agree to a humanitarian ceasefire for several hours, only for Hamas to fire missiles into Israel from behind cover of a school (as has happened numerous times in the past). Israel strikes back against Hamas’s missile site at the school, killing several Hamas members and several refugee children. The media, more often than not, will report on this by saying that both sides argue that the other broke the ceasefire (despite the fact that Israel has no reason to do so and obviously didn’t), and that Israel is in the wrong for killing the children at the school. They will show the pictures of the injured children, prominent quotes from various world leader condemning the attack, and commentary from their in-house analysts decrying Israel for war-crimes. Buried somewhere in their article, they may mention that Hamas was firing missiles from the vicinity of the school, but, if they do so, they will often add the caveat that Israel is still wrong for not holding fire when human shields are in the area. While reporting on the strike, the media will use the Gaza Health ministry’s casualty numbers without question (they are a Hamas-controlled organization) or even a disclaimer to the reader that they are using the unconfirmed casualty estimates of one side of an armed conflict. 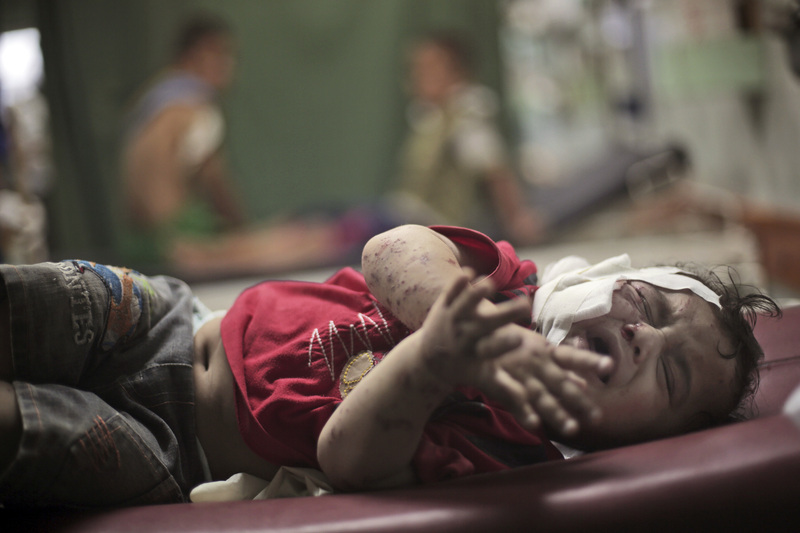 They will accept the Gaza Health Ministry’s 82% civilian casualty rate as valid without any independent confirmation. 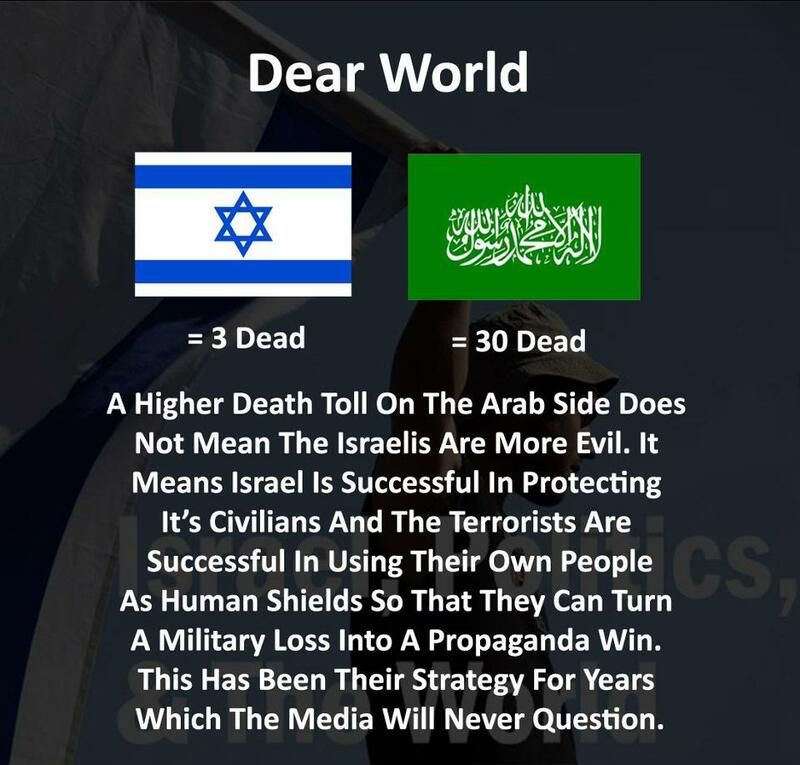 All in, the media narrative is to damn Israel for having the temerity to exist in the first place and not sit on its hands while terrorists fire missiles over their borders. After all, the Iron Dome protects most Israelis and when an Israeli hears the incoming missile, they know that there is an only a 10% chance that it will land and possible kill their children. Additionally, the media tends to infantilize the Palestinians, refusing to hold them responsible for their own actions (ex. using human shields), and putting all of the responsibility on Israel for anything that happens. Many argue that Israel, as the vastly superior military power, has the duty to restrain itself and not fire back when attacked—this is a ridiculous assertion, and I simply cannot find any other situation where it was used against another country (the only thing even close was some talk about the US’s involvement in Iraq, but that was centered on the illegitimacy of the war). To top off their argument, the media tends to go back to calling Gaza an “open air prison” that borders on a concentration camp. This is not only false, but indicative of a willful twisting of the facts. In 2005, Israel packed up and left Gaza, displacing many Israelis, in order to give them complete autonomy—this was short-lived, as Gazan terrorists started to set up missile sites and attack Israel, which led Israel to start a blockade (thus the “prison” assertion). Additionally, while Egypt controls much of the border with Gaza, they somehow never get mentioned in this story, nor do they have to suffer missiles flying over their borders. At the end of the day, I have major problems with a lot of Israel’s policies (ex. the stupid and inflammatory expansion of settlements beyond the 1967 borders), but refuse to buy into the ridiculous conflation, assertions, and arguments of many in the media condemning Israel. There are plenty of real complaints about Israeli foreign policy without resorting to propaganda points from people who have sworn to annihilate the only Jewish state because of an absurd, bronze-age religious bigotry. Personally, if I were in control over the Israeli military, I would immediately stop all missile strikes into Gaza, withdraw all troops (which has already started), and completely shut the Israel-Gaza border. Whenever a terrorist in Gaza launches a missile, I would drop an electromagnetic pulse bomb capable of destroying all electronics within a square block (they can be built to affect areas as large as a continent to as small as a car) on the launch location in order to disable to missile site. Instead of killing civilians—giving the terrorists the exact PR that they desire—I would neutralize their ability to launch more complex missiles, use modern communications technology, or even utilize modern cars to transport their weapons. In effect, I would send them back to the Stone Age and sit comfortably behind the Iron Dome. In addition to utilizing nonlethal EMPs, I would implement a direct and equivalent retaliation scheme using special operations (Mossad’s Shin Bet). For every Israeli to be killed by a Hamas terrorist attack (via missile, suicide bombing, or tunnel-attack), I would order Shin Bet to assassinate a top Hamas official. Instead of risking killing civilians in order to eliminate Hamas underlings, I would bring the fight directly to the commanders and ensure that they know that their personal martyrdom will come if they actually succeed in killing Israelis. As most of these people are cowardly bigots, who grow fat off of the aid stolen from their people (ex. Arafat died a billionaire) while sending other people to die, the threat of such retaliation will likely get Hamas to back off the missile strikes. This is the home of Khaled Meshal, the top leader of Hamas, located in Qatar, where he lives and directs Hamas to fire on Israel. To round out my plan, I would give the Gaza residents food, building materials, medical care, and educational supports so that they can actually build a society that will one day support peace with Israel. This will likely take a long time and a lot of effort, but helping to build schools is actually a lot cheaper that destroying them (those missiles are extremely expensive) and is a far better path towards peace even if it isn’t beneficial in the short-term. Through a combination of crippling Hamas as extending a hand to the Gazan Palestinians who want peace, I hope that the Palestinians would wake up, overthrow their corrupt leadership, and actually start building the country that they have been demanding for so many decades. 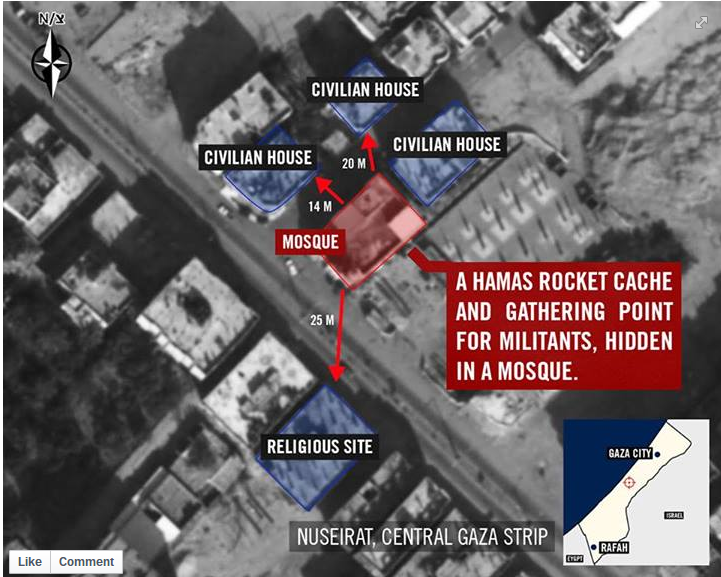 Hamas places their military storage and headquarters in or near civilian locations. Palestinians have no Air Force, or in reality no organised military as does Israel. Palestinians have no specific bases from which to operate, and if they did, these could be wiped out in five minutes by Israel. 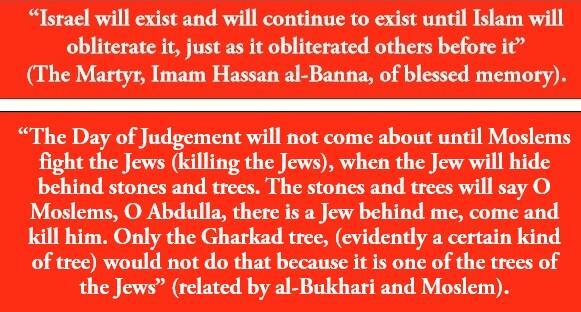 Since Hamas chooses to use the locations they do; this makes it morally acceptable for Israel to kill ( and they have not been judicious) civilians? In my opinion, no. Palestinian attempts to get the world’s attention for the six year Israeli siege, and much longer “occupational” decrees toward Gaza fail. It appears the world only pays attention when Hamas misbehaves, and sends fruitless and mostly ineffective “rockets” into Israel. Are used for weapons import into Gaza, but Gazans have been restricted by Israel for items too numerous to mention needed for daily life, so the tunnels were also used for importing these. Gisha have said that their list is approximate, partial and it changes from time to time because Israeli authorities refuse to disclose information regarding the restrictions on transferring goods into Gaza. Gisha acquires information from Palestinian traders, international organizations, and the Palestinian Coordination Committee, “all of whom “deduce” what is permitted and what is banned based on their experience requesting permission to bring goods into Gaza and the answers they receive from the Israeli authorities”. In January 2010, the Israeli human rights group Gisha took Israeli authorities to court, it attempt to force them to reveal which goods were permitted and which goods weren’t. Israeli State denied it has “a list of permitted goods” for months. However, “in its updated response to a petition  submitted by Gisha under the Freedom of Information Act, the State recently admitted that it does have a list of permitted goods and other documents relating to the transfer of goods to Gaza, but claimed that revealing them would harm state security and/or Israel’s foreign relations. A hearing to determine whether the documents should be revealed will be held in October 2010.”  Gisha reported that since Israel tightened the blockade on Gaza an average of 2,300 trucks entered the strip every month, about a quarter of the number of trucks before 2007. Hamas is is not a beneficial part of the Palestinian government. Their terrorist tactics have cost the population of Palestine millions in wasted funding, going for rockets and weapons, as opposed to food and internal improvement. Some will say ” Just let the Palestinians get rid of hamas – it’s their fault these things are happening!” Could the US ” just get rid of George Bush as he marched the US into catastrophe? No, it’s not that simple. The Likud has been no friend to israel, encouraging an encroachment on Palestinian land with new Israeli settlements after this theft has been condemned by the world and previous agreements with Israel. Israel’s absolute grip on the Gazan economy, creates a desperation that could only bring about an eventual do-or-die reaction from the Palestinian people. Whenever, from whomever, I hear or read “send them back to the Stone Age” in any context, toward any country, I am alerted to the idea that the author has neglected to remember – we speak of humans here – not animals. Hamas does not comprise the vast number of Palestinians who are suffering the most. To “sit comfortably behind [an imaginary dome of protection ] while knowing a population is totally oppressed, seems somewhat barbaric, and beneath the author’s intelligence. I get what you are saying and agree with a lot of it, but you are neglecting a very real fact in this conflict: Israel left Gaza in 2005 and only imposed the blockade when Hamas took over and started shooting missiles/rockets/mortar rounds over the border. If they didn’t fire these explosives, Israel would back off the blockade and the Palestinians could import any goods that they desired. The Gazans started this blockade with their actions and I have little sympathy about any “stranglehold” on their economy while they continue to attempt war on Israel. As to the tunnels, you are both correct and incorrect. The tunnels going from Egypt into Gaza are often used to transport building material, fuel and food, but those going from Gaza to Israel have no similar purpose–they exist solely to facilitate terrorism in Israel. Yes, the Likud overreact to terrorism and are the Israel equivalent to the American extreme right, but that doesn’t mean that Hamas doesn’t present a serious problem. Israel endures thousands of explosives launched over its border every year and no nation can be expected to endure this without fighting back. When I said “send them back to the stone age” I was referring to their weapons and infrastructure capacity. Personally, I see a non-lethal EMP strike to be a far more humane way of neutralizing terror sites than bombing (it is better to be temporarily in the stone age than permanently dead). If you truly want to eliminate civilian casualties, this is the way to go. Finally, I support a two-state solution and would love to see the Palestinians and Israelis live in peace side by side. That said, this is impossible for as long as the Palestinians keep lobbing bombs into Israel, and the “oppression” of Gaza is a direct result of this impossibility. If the Palestinians decide that they are tired of Hamas and want peace, I will be first in line calling for a release of sanctions and a return to an autonomous Gaza. When Prime Minister Sharon attempted Israel’s unilateral disengagement from the Gaza Strip, and was faced with opposition from Likud, he left Likud to form a new party, Kadima. Sharon was expected to have won the next election and was criticized for planning on “clearing Israel out of most of the West Bank”, in a series of unilateral withdrawals. This of course did not happen. Instead Israel has continued to build more and more settlements illegally on Palestinian territory. Israelis have the right to defend themselves and their state. Can the same be said for Palestinians? I’m not speaking here of the fruitless and ill advised rocket launches, but their argument with the steady encroachment of Israeli settlements. Also, and in general, how long will any population , regardless of all reasoning to the opposite, continue to live in abject poverty with no hope of improvement without rebelling any way they can? I too believe a two state solution is the only answer, but it appears the extremists on both sides of this seemingly never ending tribulation are having none of that. Unfortunately, Hamas is run from Qatar for the purpose of destroying Israel and is simply using the Palestinians as a political tool. They fire missiles to draw back fire, not to fight against encroachments into the contested territories and will not stop regardless of the consequences for their supposed constituency.